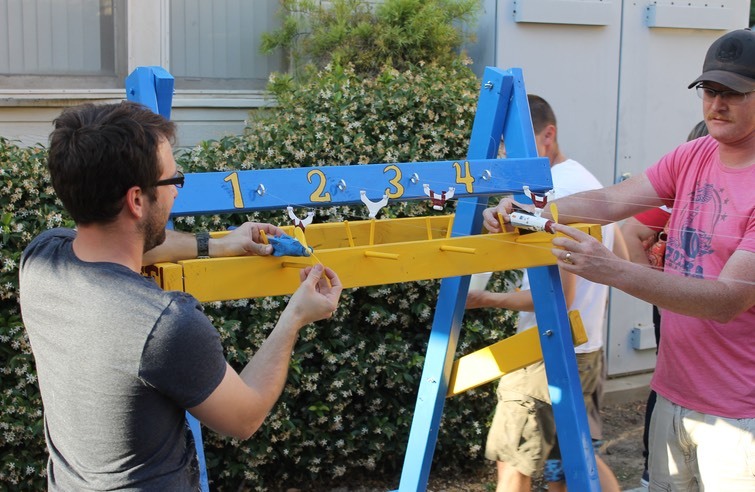 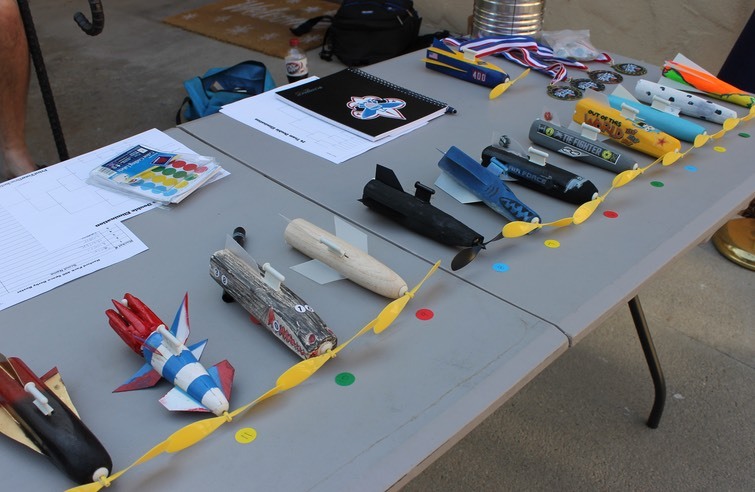 Another annual event for the Pack is the Space Derby. 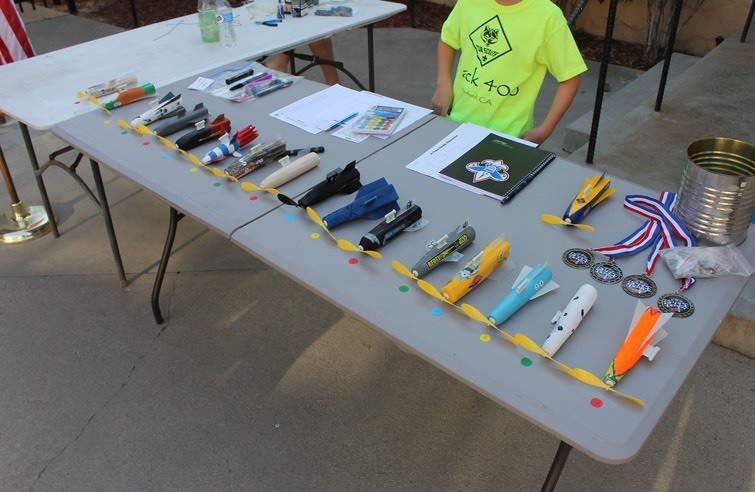 Like its cousin the Pinewood Derby the boys are issued a kit which has everything they need to build an official Space Derby rocket. 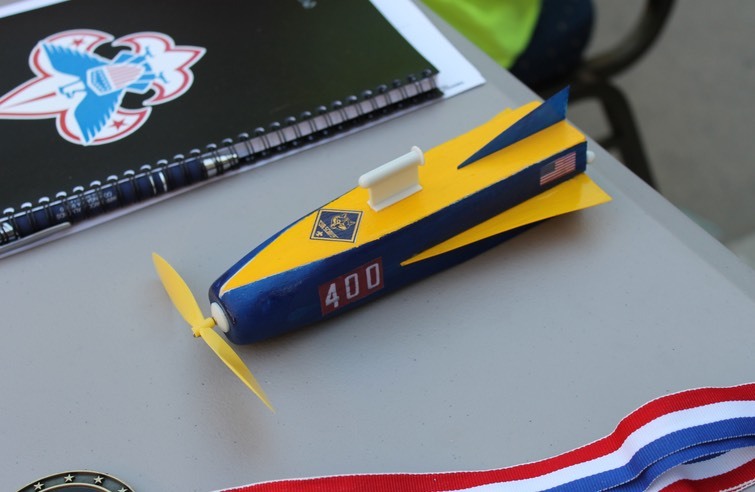 The space derby kit consists of a balsa wood block, propeller assembly, rubber bands, plastic sheet (for fins), and a mounting bracket. 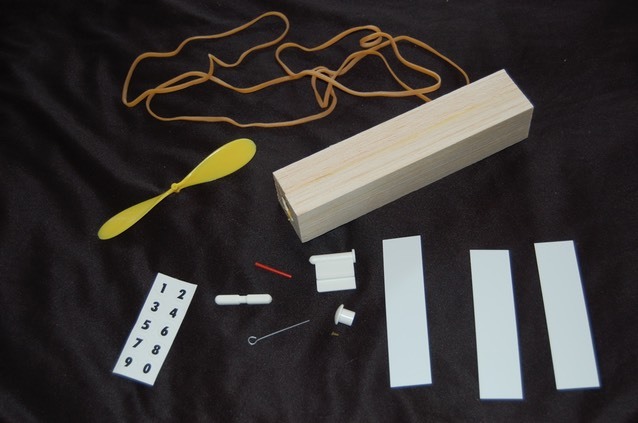 The wood block comes out of the box with a drilled out center hole. 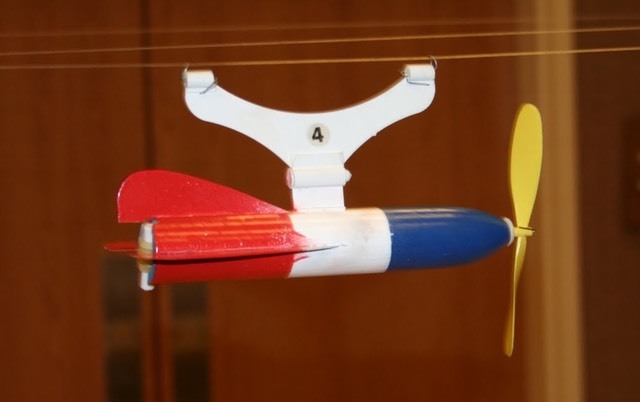 The completed rockets are wound up with as many as 100 or more turns on the propeller and suspended on a string from a separate bracket with the propeller held in place. 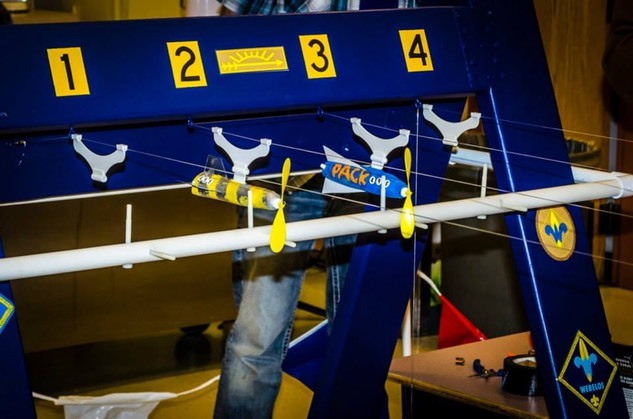 Two,string lanes will be used. 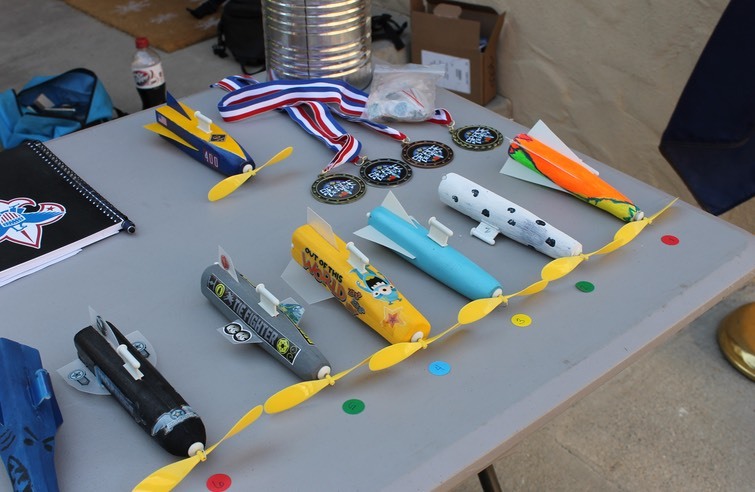 The rockets are held in place and launched when the mechanism releases the propeller. 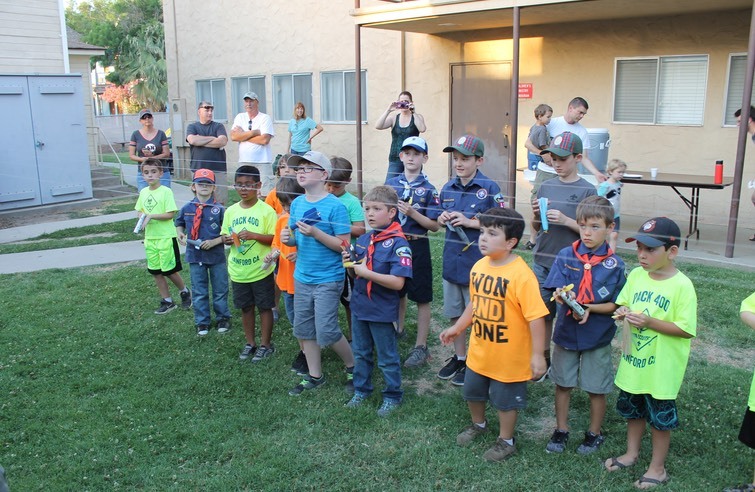 The event will be a double elimination tournament where each Scout has to lose twice to be out of contention for an award. 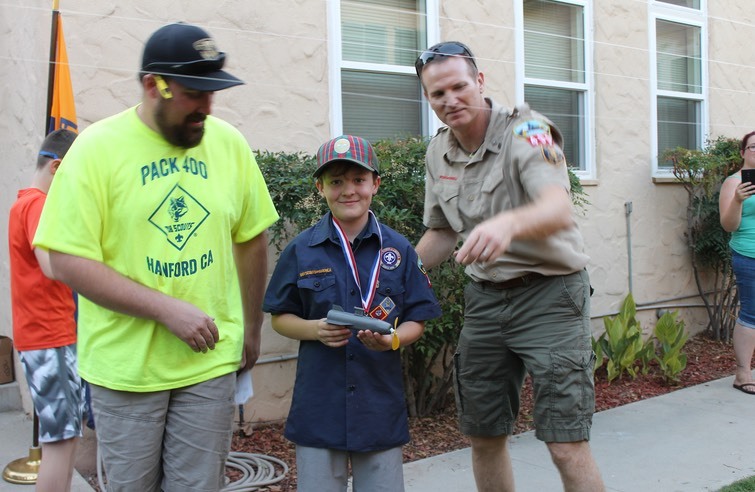 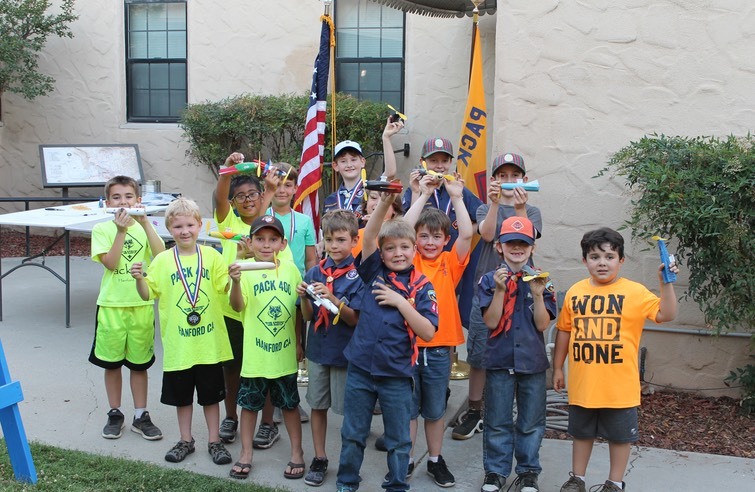 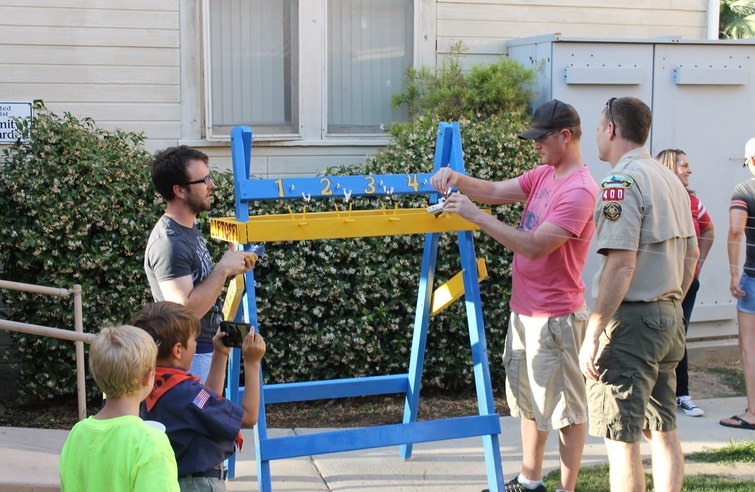 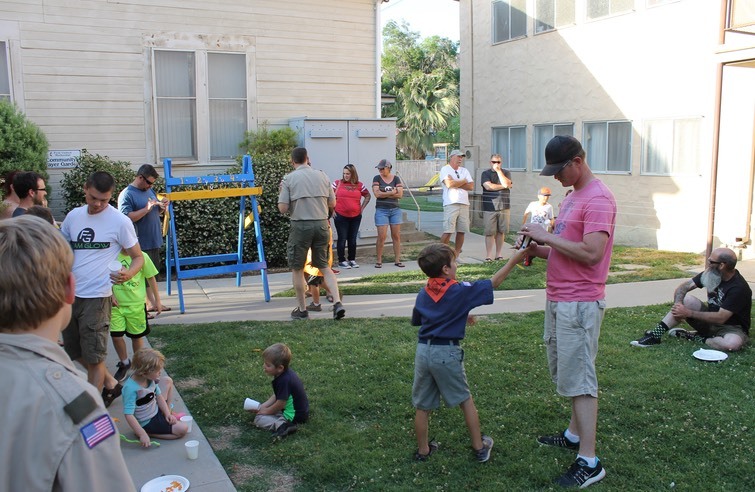 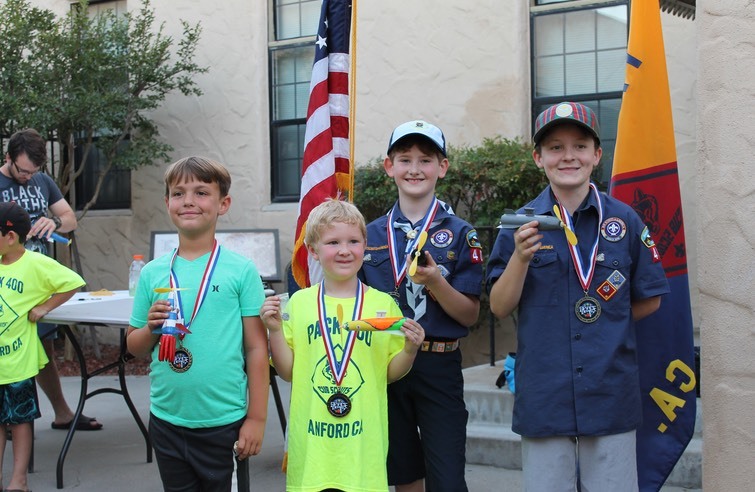 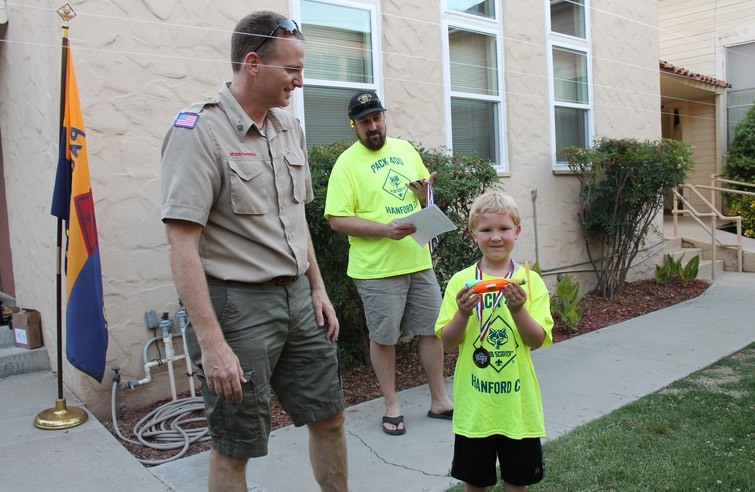 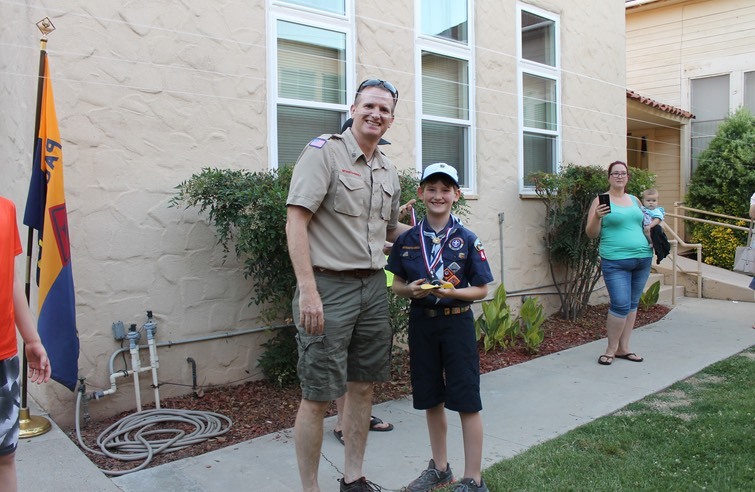 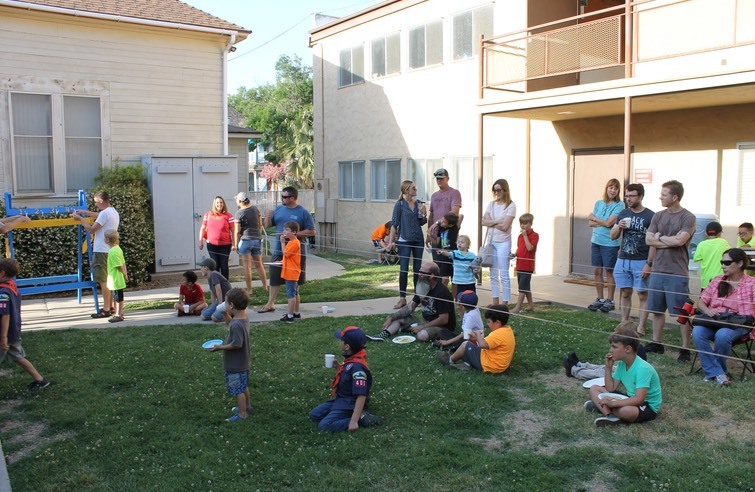 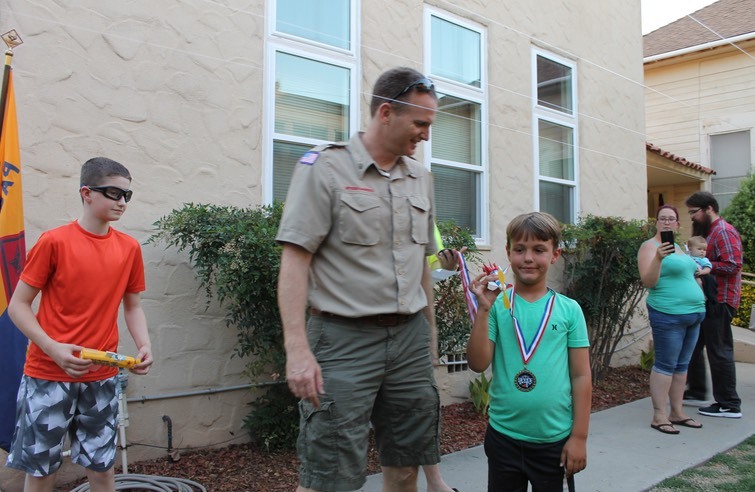 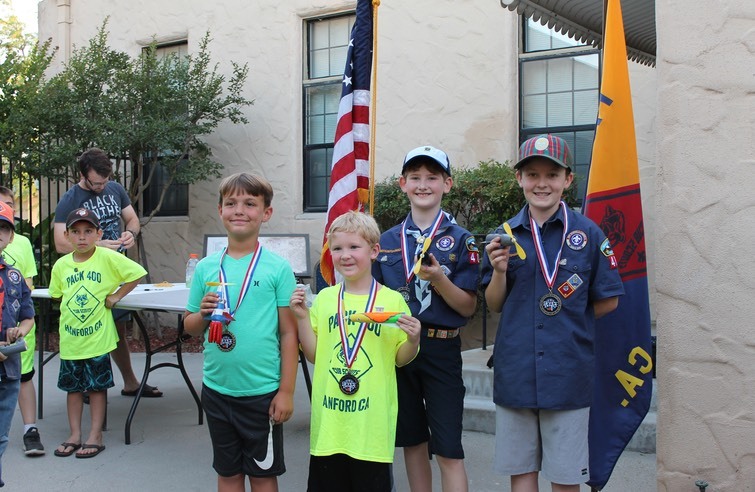 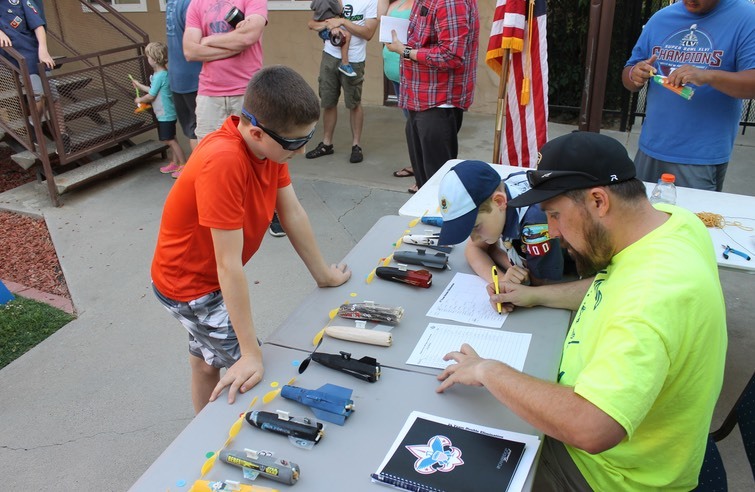 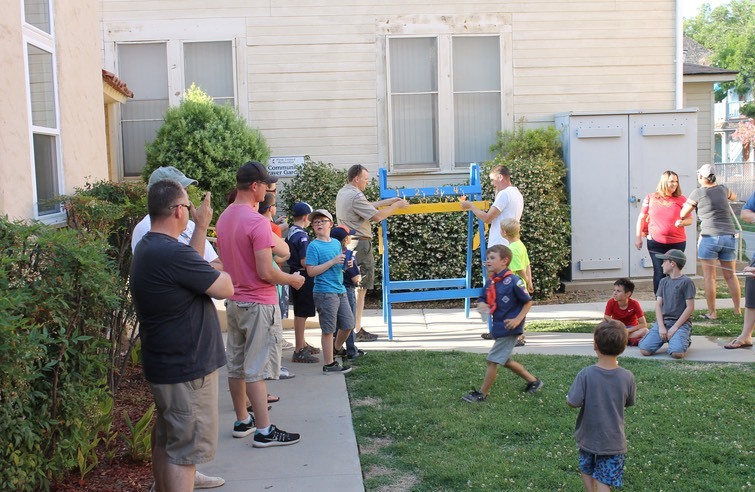 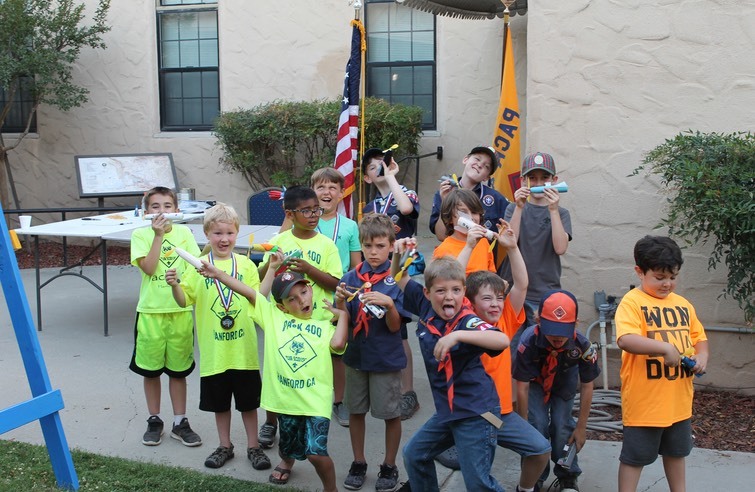 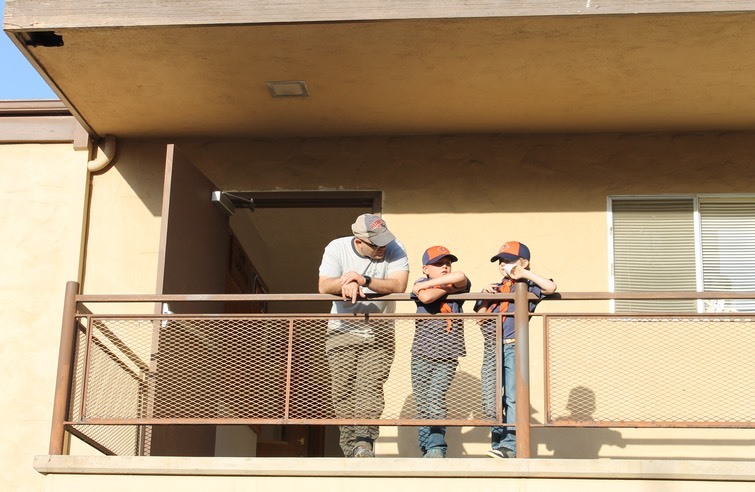 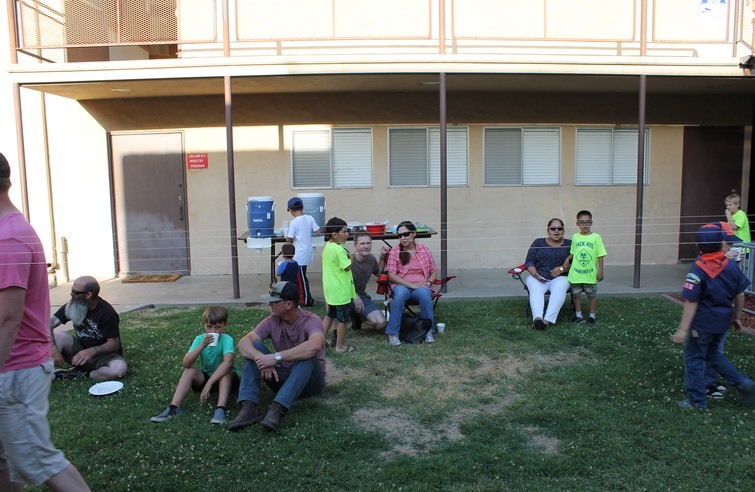 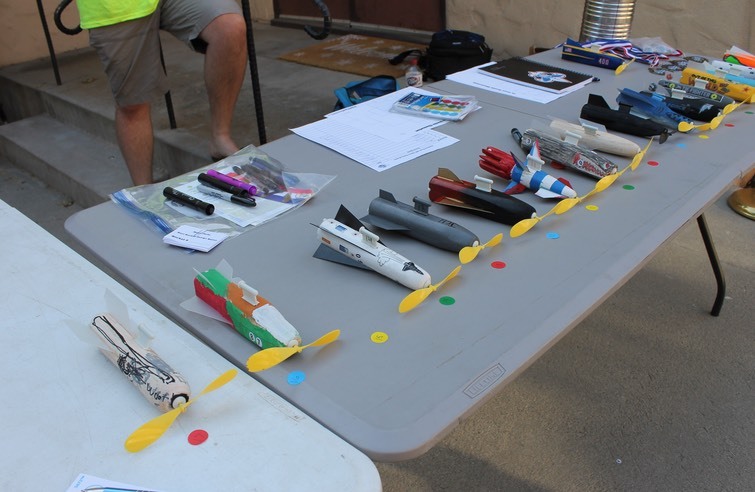 Check out this great write up about our 2018 Space Derby in the Hanford Sentinel!